The best business isn’t always the best stock. And even Wells Fargo (NYSE:WFC) bulls would admit that WFC isn’t the best business among big banks. The company is still dealing with the aftereffects of a series of scandals that have led Wells Fargo stock to underperform the sector. But that’s not necessarily a bad thing. Stocks are valued looking forward, and a business that has struggled — or that has room to rebound — can have more opportunity for growth than a company firing on all cylinders. It may seem counterintuitive, but there’s a reason investors — particularly in a bull market — like turnaround stories. The problem when it comes to WFC stock, however, is that at least some degree of turnaround is priced in. Wells Fargo stock is actually more expensive than many peers. With those peers performing better — as big bank earnings reports last week proved — there’s no real reason to pay a premium for WFC stock. Admittedly, Wells Fargo has had a nice run of late, bouncing 14% off December lows. And the company’s Q4 earnings report on Tuesday, while hardly spectacular, appears to be enough to keep the run intact. Relative to consensus, GAAP earnings-per-share beat by a penny, but revenue missed by a reasonably wide margin (about $770 million). WFC stock initially declined after the report, before closing up modestly on Tuesday and then rising in the following two sessions. But looking closer, this hardly looks like a strong report. Revenue declined almost 5% year-over-year. Average loans in billions were down. Average deposits declined over 3% YOY. Consolidated net income did increase YOY, but thanks solely to a lower effective tax rate. This simply isn’t a business that is growing right now, which isn’t necessarily a surprise. I argued a year ago that the company’s ever-widening scandals meant other bank stocks were much better choices. The weakness YOY in loans and deposits only highlights that problem. Meanwhile, other big banks are doing much better. Bank of America (NYSE:BAC), even with a clear focus on managing risk, increased adjusted revenue 6% in its Q4; adjusted pre-tax income rose 22%. BAC stock soared on the news. JPMorgan Chase (NYSE:JPM) saw its top line grow 4%; loan balances increased across the board. In this economy, Wells Fargo earnings aren’t good enough … or close. And that problem isn’t going away. The current issue for Wells Fargo is that the Federal Reserve has capped the growth of the company’s balance sheet. In that context, the weak loan and deposit growth isn’t necessarily a surprise. But the problem is that the cap is going to last longer than expected. Wells Fargo management said on the Q4 conference call that the cap would last throughout 2019, despite past hopes that the company could get out from under sooner than that. That suggests the weak growth seen in Q4, and 2018 on the whole, is going to continue for at least four more quarters. There’s another issue as well. At what point does Wells Fargo actually keep a promise? Shareholders went through an endless litany of scandals and missteps; after each one, management insisted there were no more skeletons in the closet. Now, it’s taking longer to fix those problems than previously thought. When, exactly, are investors supposed to trust management? These issues might be more acceptable if WFC stock was cheap. The problem is that it isn’t. WFC trades at 1.34x book value. BAC is at 1.21x. Goldman Sachs (NYSE:GS), which I recommended earlier this week, trades at barely 1x, even after GS stock soared following a blowout Q4. Citigroup (NYSE:C), another turnaround play, trades at a discount to its book value. The premium that WFC stock receives in terms of both P/B and in some cases price-to-earnings requires that the company make improvements. Yet shareholders have been waiting for years, and they are still waiting. At a certain point, it’s simply time to move on. After Q4 earnings, and with Wells Fargo stock off the lows, that time appears to be now. 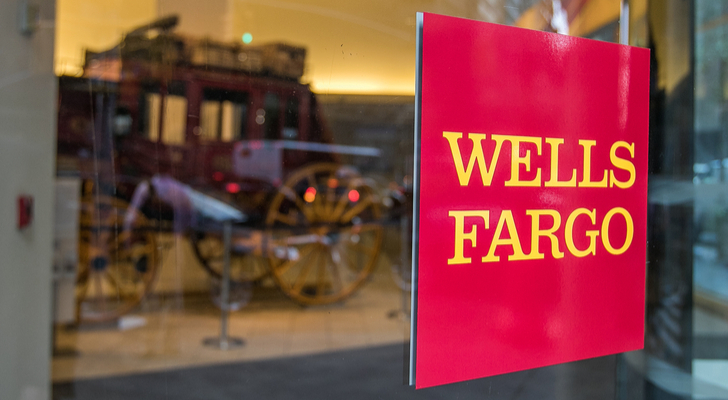 Article printed from InvestorPlace Media, https://investorplace.com/2019/01/wells-fargo-wfc-stock-isnt-worth-buying/.